Making the swap from a naturally aspirated 6.3- 6.2-liter V8 to a direct injection, twin-turbo 5.5-liter V8 hasn't at all reduced the Mercedes CL63 AMG's brawny beauty. The standard version gets 544 horsepower and 590 pound-feet of torque. Opt for the AMG Performance Package and you boost that to 571 hp and 664 lb-ft. All that power doesn't come with a bigger fuel price, either: at 22 combined miles per gallon with the help of stop/start and the AMG Speedshift MCT seven-speed sport transmission, the new car posts a 25 percent increase in fuel economy over the 6.2-liter beast. The AMG Performance Package that throws in all that extra gumption also comes with double-spoke wheels in titanium gray, extra carbon fiber trim under the hood and in the cabin, as well as a leather and Alcantara steering wheel. With it you get a 4.4-second 0-60 time, without you'll have to make do with 4.5 seconds. Helping you keep things composed while on the move are crosswind stabilization added to the Active Body Control, Direct Steer and Torque Vectoring Braking, which brakes the inside wheel when necessary to maintain crispness when things go curvy. If you're looking for a bit of green, you'll find it in the regenerative braking. The rest better be in your wallet. All the details are in the press release after the jump and the high-res gallery of images below. Hockenheim – New design and new high-tech drive system: the Mercedes-Benz CL 63 AMG is to feature a new cutting-edge look as well as state-of-the-art technology. The stylish visual modifications will be accompanied by a completely newly developed powertrain. The AMG 5.5-litre V8 biturbo engine with a peak output of up to 420 kW (571 hp) and a torque of up to 900 Nm, in combination with the unique AMG SPEEDSHIFT MCT 7-speed sports transmission, contributes towards a considerable increase in driving dynamics, while at the same time guaranteeing a respectable reduction in consumption and emissions. With a fuel consumption of 10.5 litres per 100 kilometres (NEDC combined), the new high-performance coupé not only undercuts its direct competitors – it is also 27 percent more economical in terms of its fuel consumption than the previous model with naturally aspirated V8 engine. The new CL 63 AMG marks the start of a new chapter in the "AMG Performance 2015" drive strategy: Mercedes-AMG is continuing this impressive story and is meeting its promise to continuously reduce both the fuel consumption and emissions of new models with the new engine/transmission combination – while reaching new heights with the central AMG brand value of "performance". According to Ola Källenius, head of Mercedes-AMG GmbH: "We are heading into a new era with the CL 63 AMG: for the first time we have combined spray-guided direct petrol injection with biturbocharging and the stop/start system. Together with the AMG SPEEDSHIFT MCT 7-speed sports transmission, we have reduced both fuel consumption and emissions significantly – while at the same time increasing output and torque." Together with the AMG SPEEDSHIFT MCT 7-speed sports transmission, the new AMG 5.5-litre V8 biturbo engine will play a significant role in the Mercedes-AMG model strategy over the coming year. The new engine/transmission combination marks a further milestone in the successful history of Mercedes-AMG, which began back in 1967. Designated internally as the M157, the new V8 engine is a prime example of efficiency and features a whole host of impressive technological highlights: for the first time Mercedes-AMG is taking advantage of direct petrol injection with spray-guided combustion and piezo injectors. This technology enables improved fuel economy thanks to higher thermodynamic efficiency, which in turns leads to lower exhaust emissions. AMG has combined the spray-guided combustion with biturbocharging. Other highlights of the innovative, original eight-cylinder engine from Affalterbach include full aluminium crankcase, four-valve technology with variable intake valve timing, air/water charge air cooling, generator management and also standard start/stop function. Compared with the AMG 6.3-litre naturally aspirated V8 engine with a displacement of 6208 cc, the new AMG 5.5-litre V8 biturbo engine achieves all this with a displacement of 5461 cc. This high-tech package leads to a high output and torque yield, together with fuel consumption figures that are unrivalled in the competitive lineup. The AMG 5.5‑litre V8 biturbo engine develops a peak output of 400 kW (544 hp) and maximum torque of 800 Nm. In conjunction with the AMG Performance package these figures are increased to 420 kW (571 hp) and 900 Nm. A look at the performance diagrams shows that no other engine in this output class achieves the figures delivered by the new AMG biturbo. The major difference between the two performance classes is an increase in the maximum charge pressure from 1.0 to 1.3 bar. 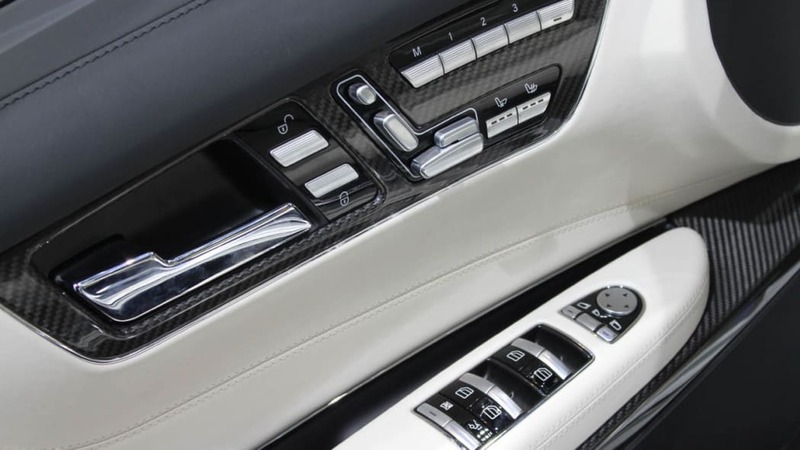 In addition, the engine cover of the CL 63 AMG with the AMG Performance package comes with high-quality carbon-fibre applications. With an NEDC fuel consumption of 10.5 litres per 100 kilometres, the new CL 63 AMG is 3.9 litres more economical than the previous model powered by the naturally aspirated AMG 6.3-litre V8 – despite an increase in maximum power of 14 kW(19 hp) and 34 kW (46 hp) respectively, and in torque of 170 and 270 Nm. Engine specialists consider this achieved fuel saving of more than 25 percent to be nothing less than a quantum leap. CO2 emissions have likewise been significantly reduced: at 244 grams per kilometre, the figure is 29 percent lower than for the previous model. Both performance variants have identical fuel consumption and CO2 figures. With figures like these, the new CL 63 AMG is not only considerably better than all its competitors, but also more fuel-efficient than much less powerful cars in this segment. 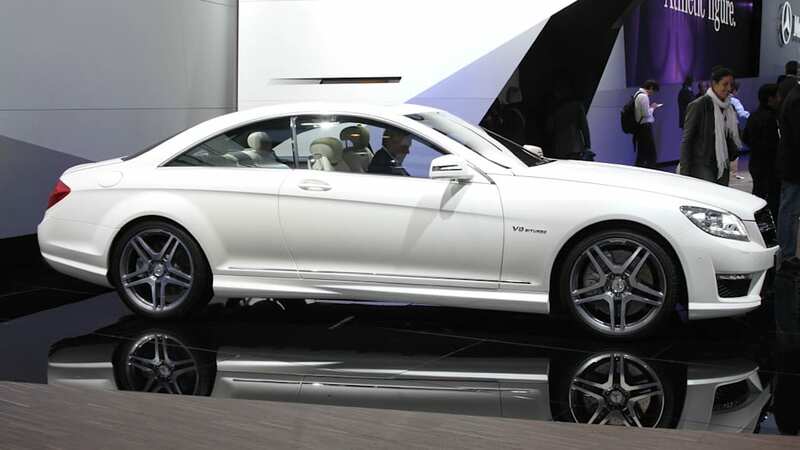 At the same time the CL 63 AMG delivers superior performance at sports car level: the Coupé accelerates from zero to 100 km/h in 4.5 seconds, and has an electronically limited top speed of 250 km/h. The 100 km/h mark is reached in just 4.4 seconds with the AMG Performance package, with the top speed increased to an electronically limited 300 km/h. It is not only the unrivalled torque delivery of this turbocharged eight-cylinder that makes the heart beat faster, as the agile responsiveness with no irritating charger delay also leads to an effortlessness and dynamism previously unknown in this output class. All perfectly matched by the characteristic and powerful, sonorous engine note. Moreover, this AMG high-performance engine naturally meets all the requirements with respect to smooth, quiet running and the comfort on long journeys that is to be expected of a Mercedes. Power is transferred by the AMG SPEEDSHIFT MCT 7-speed sports transmission used exclusively by AMG. It combines high emotional appeal with outstanding driving dynamics and a high level of efficiency. A wet start-up clutch replaces a conventional torque converter, and helps to save fuel. The exemplary fuel economy is also in large measure due to the standard stop/start function. This system is active in the transmission's Controlled Efficiency ("C") mode, and switches the eight-cylinder engine off when the car comes to a stop. In "C" mode the coupé always starts off in second gear, and the transmission shifts to the next, higher gears at a decidedly early stage. With its high torque at low engine speeds, the V8 engine encourages a smooth, effortless driving style. The eight-cylinder biturbo engine also features a generator management system: whenever the engine is on the overrun or when braking, kinetic energy is used to charge the battery rather than being wasted as heat in the usual way. In all other operating modes a combination of onboard network and generator management enables the generator to be kept at a low voltage. This reduces the load on the engine and makes for fuel savings of around 0.15 litre per 100 kilometres according to the NEDC standard, and up to 0.2 litre per 100 km in city traffic with its frequent overrun and braking phases. Like all other AMG engines, the new eight-cylinder biturbo is assembled by hand in the AMG engine shop taken into commission in 2002. Highly-qualified technicians assemble the M157 according to the "one man, one engine" philosophy, maintaining the very strictest quality standards. 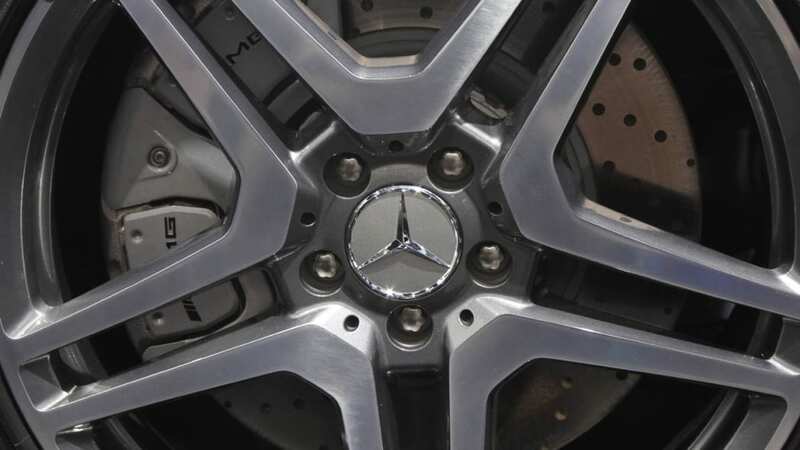 This painstaking care is attested to by the signature on the characteristic AMG engine plate. 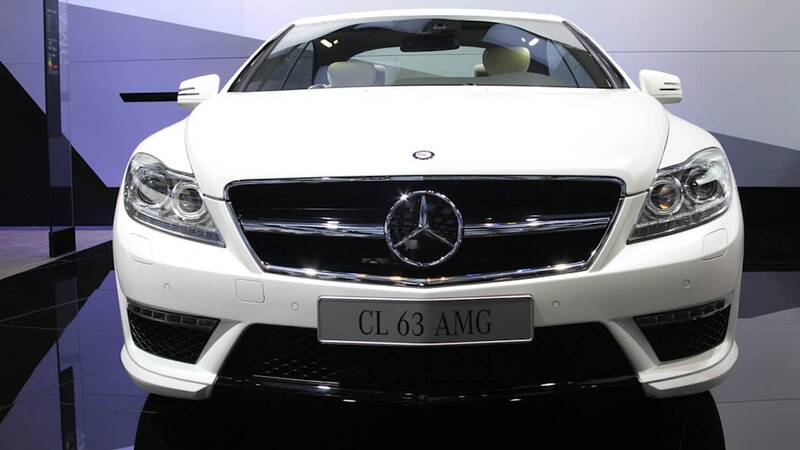 In visual terms, the new CL 63 AMG has an even more athletic, confident appearance. The bonnet, headlamps, radiator grille, bicolour tail lamps and the newly designed AMG bodystyling all add more dynamism. 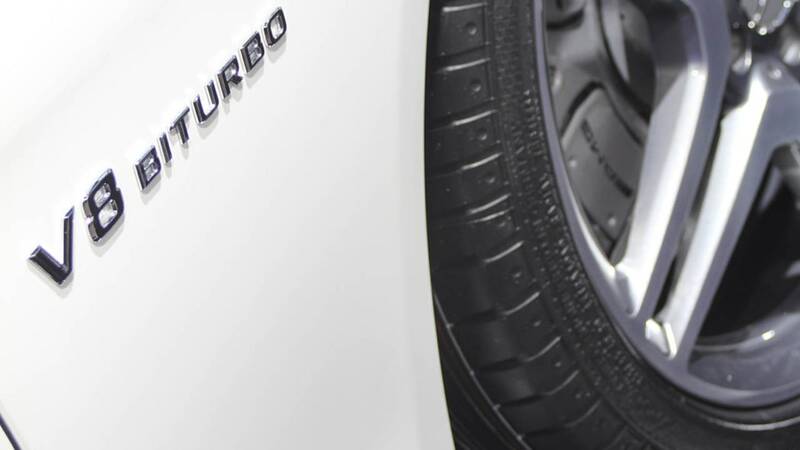 The "V8 Biturbo" lettering on the mudguards points to the new powertrain. Also featuring a new look are theAMG triple-spoke light-alloy wheels, painted in titanium grey and with a high-sheen finish, and fitted with 255/40 and 275/40 R 19 tyres. 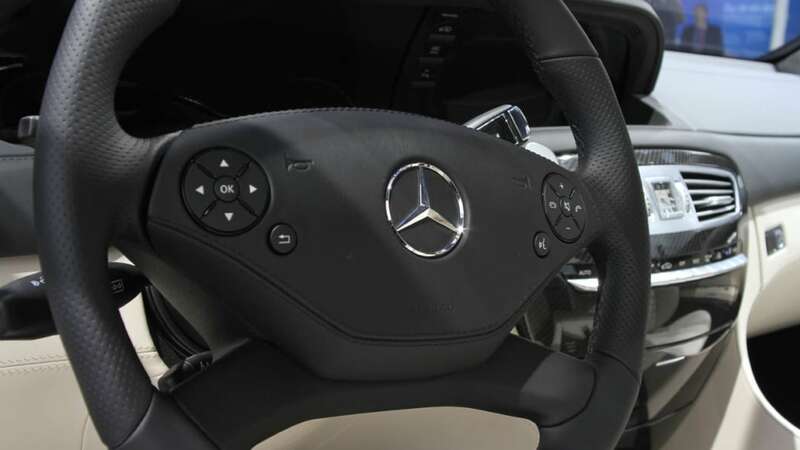 New in the interior are the AMG sports steering wheel with silver-coloured aluminium shift paddles and specially shaped grip area covered with perforated nappa leather, as well as the "AMG V8 Biturbo" start screen in the AMG instrument cluster. 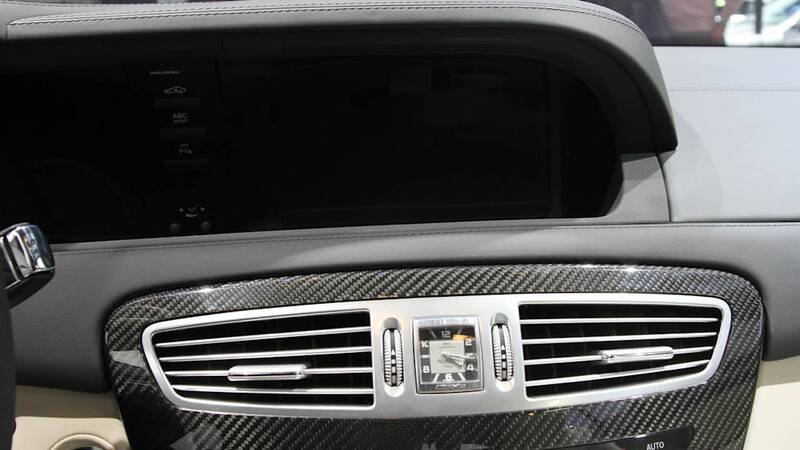 As a new optional extra, SPLITVIEW is also available for the COMAND multimedia system. With immediate effect, standard equipment on the CL 63 AMG now includes the Direct-Steer system, Torque Vectoring Brake and crosswind stabilisation. With its variable ratio depending on steering angle, the Direct-Steer system helps to ensure a more direct response when cornering, and therefore more responsive handling – in brief: enhanced driving pleasure at the wheel of the Mercedes-AMG CL-Class. Thanks to brief direct application of the brakes on the vehicle's inner rear wheel when cornering, the Torque Vectoring Brake, meanwhile, helps to ensure that the V8 coupé corners precisely and under control at all times. The Torque Vectoring Brake is an additional feature of the Electronic Stability Program ESP® and not only noticeably improves responsiveness but also active handling safety in critical conditions. The AMG sports suspension based on Active Body Control (ABC) now also provides crosswind stabilisation as an additional function: thanks to this feature, influences caused by crosswinds are compensated for, or – in the case of strong gusts – reduced to a minimum. ABC compensates against the effect of crosswinds by adjusting the wheel load distribution within milliseconds, using the yaw-rate and lateral acceleration sensors of the ESP®. 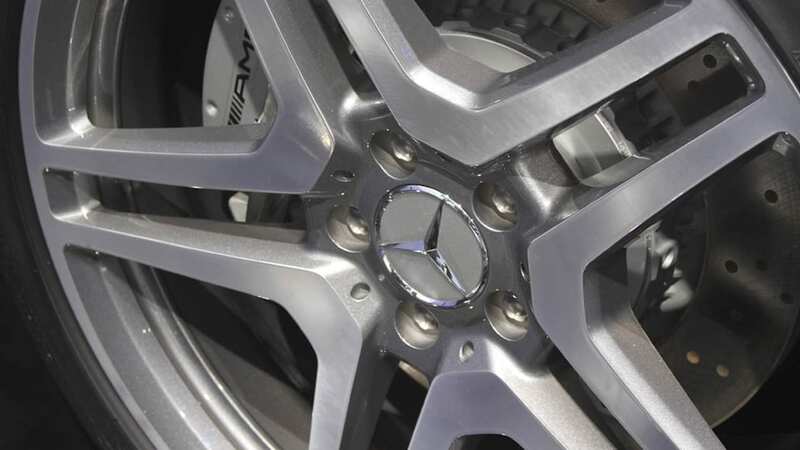 Based on the ADAPTIVE BRAKE system with large compound brake discs all round, the AMG high-performance braking system continues to set the benchmark for stopping power, sensitivity and fade resistance. unintentionally straying from its lane. Also new is the Active Blind Spot Assist, which warns the driver by displaying a red warning in the glass of the relevant exterior mirror when it detects that changing lanes would be too dangerous. If the driver ignores the warning signal and a vehicle in an adjacent lane comes too close, the ESP® takes corrective action by applying the brakes to the wheels on the opposite side of the vehicle. New optional extras from the AMG Performance Studio as well as designo enable the vehicle's individuality to be enhanced even further. 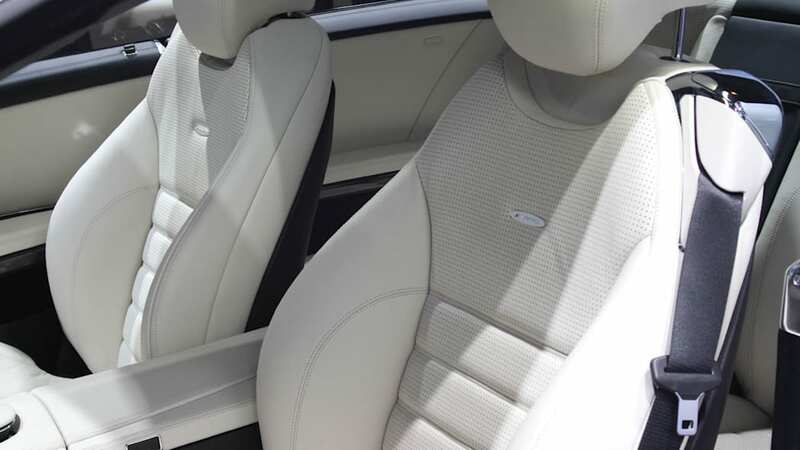 The wide range of designo products includes exclusive paint finishes, leather upholstery, trim elements and steering wheels – as well as the designo Selection, a very special high-end equipment package. 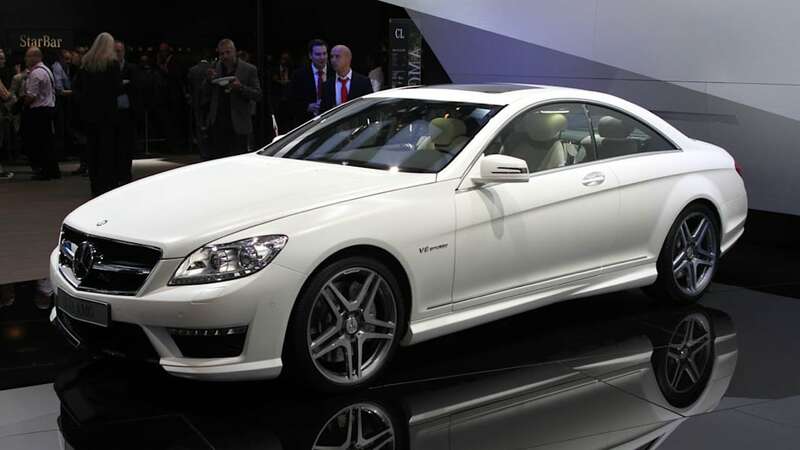 The new CL 63 AMG will celebrate its market launch in September 2010. 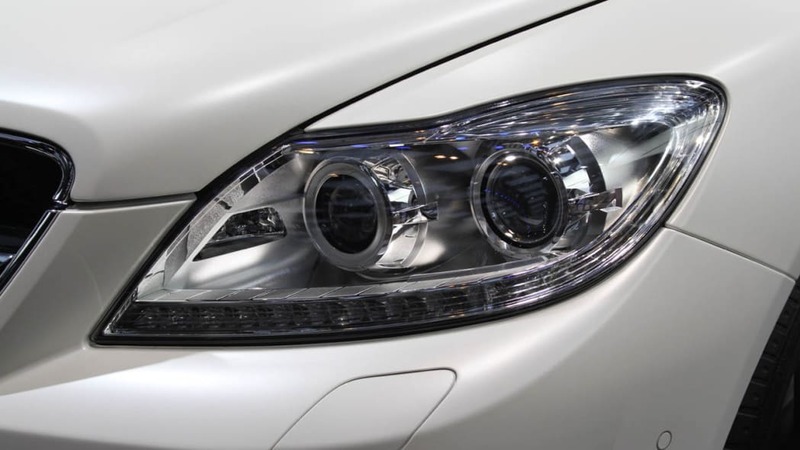 The vehicle will have a sales price of 135,100 euros (excl. VAT)/160,769 euros (incl. 19% VAT). The AMG Performance package costs 7900 euros (excl. VAT)/9401 euros (incl. 19% VAT). Top-of-the-range CL-Class models from Mercedes-AMG appeal to customers worldwide. Exclusivity and dynamism, individuality and high tech: both the CL 63 AMG and the top-of-the-line V12 model, the CL 65 AMG, embody all of these characteristics. Since their market launch in 2007, the CL-Class models from AMG have won the hearts of more than 6,000 customers around the world – making the high-performance Coupés the leaders in their segment. 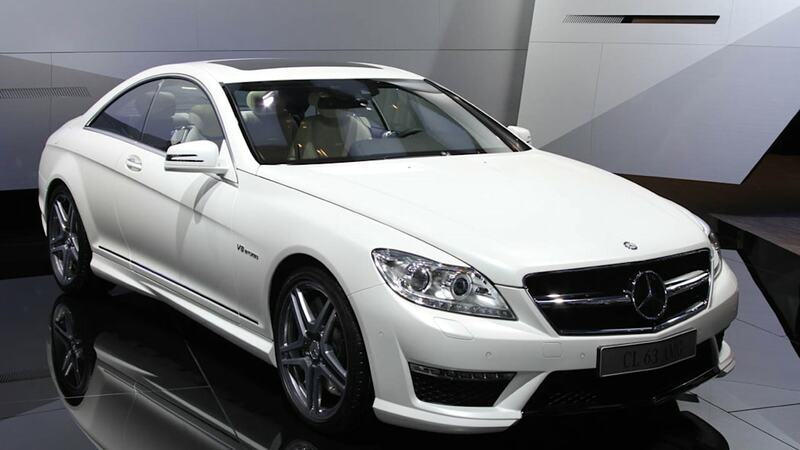 The twelve-cylinder CL 65 AMG model now produces 463 kW (630 hp) and will also be celebrating its market launch in September. The vehicle has a sales price of 191,450 euros (excl. VAT)/227,825.50 euros (incl. 19% VAT).